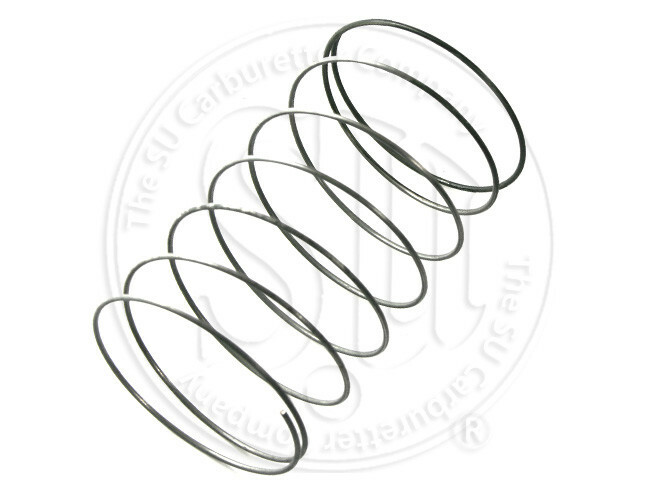 Green Piston Spring. Load at length 12 oz @ 1.530 in. Suitable for Ball Bearing Suction Chambers. 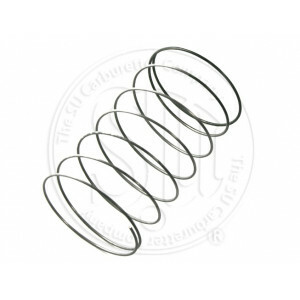 Piston SpRing phased out heavy weighted Pistons and are designed to produce a resistance to the rising Suction Piston in order to balance the venturi size with the correct mixture/air flow. The ultimate aim being that the engine should be able to produce full power with the Piston fully raised together with progressive acceleration and steady cruising over the whole Range of driving. Rich mixture for fast acceleration being provided by the Damper.